Prices of initial blocks i.e. Blubell, Rose and Tulip have increased by 50 thousand or more over the past few days. Other central blocks i.e. Lily, Jasmine, Oleander etc are also rising. It seems that investors are creating temporary shortage of files, thus increasing prices. This has been happening many a time in the past few years and November 2013 was the time when prices reached to maximum, i.e 10+ lac profit for Bluebell 8 marla open file. 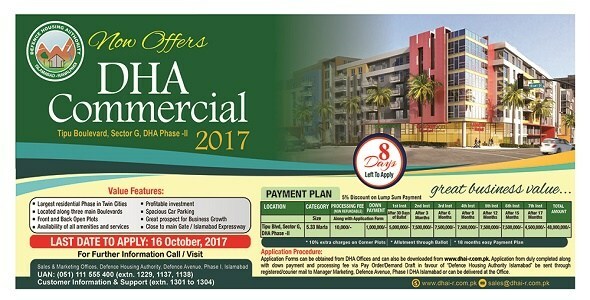 Prices of commercial plots will also go higher but it is important to remember that buying time is just these few days when you have something available at reasonable price. Once prices get out of range, it is better to let market settle down before you go for this purchase. This is also a good opportunity for people who have been holding their files for ages and getting bad offers. They can sell out their files at better prices in the market. Since prices of farther blocks like Iris, Lotus, Lavender, Snowdrop etc which had gone minus, have again risen to positive, there is good opportunity for people to sell off their plots at some profit. If you want to gain short term profit, this is again a short term investment opportunity if you buy within a few days and sell within this short period as long as this shortage continues. We suggest that you closely watch the market, buy something coming cheap and sell off as soon as you get a little profit on it. Better options to buy would be central blocks including oleander, lily, jasmine, daffodils, bluebell, rose and tulip. Overseas blocks can also be considered especially sunflower and magnolia since these have some resale value and demand in the market.